2.Go to meter box and look at meter. 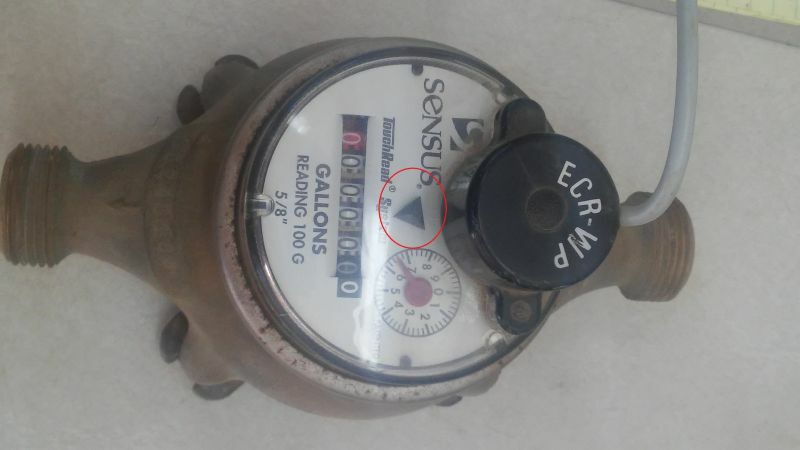 It will have some type of dial or indicator to show if water is flowing through meter. 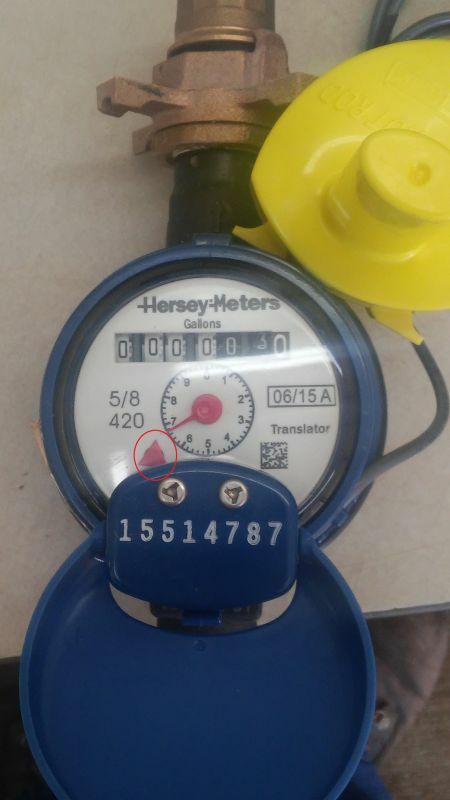 Dial on the meters that Leflore RWD#2 use are circled in red in the pictures below. 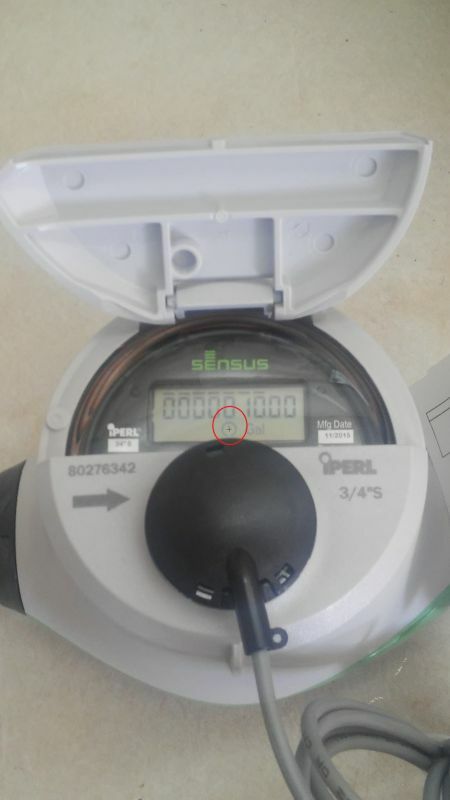 On some leaks you have to watch the dial for a few minuts to detect small leaks.On the Ipearl meters they will have a digital read and if water is flowing through the meter there will be a plus sign inside a circle.